…until I read that it included cottage cheese. I can’t even look at the stuff without heaving. It looks like curds of yogurt. Yuck! I also am trying to stay away from eating a lot of red meat. So I went ahead and made my own version of the Aldi Test Kitchen recipe. And you know what? My taste testers all agreed it was the best thing I have made so far. What To Do:1. Make the meatballs. 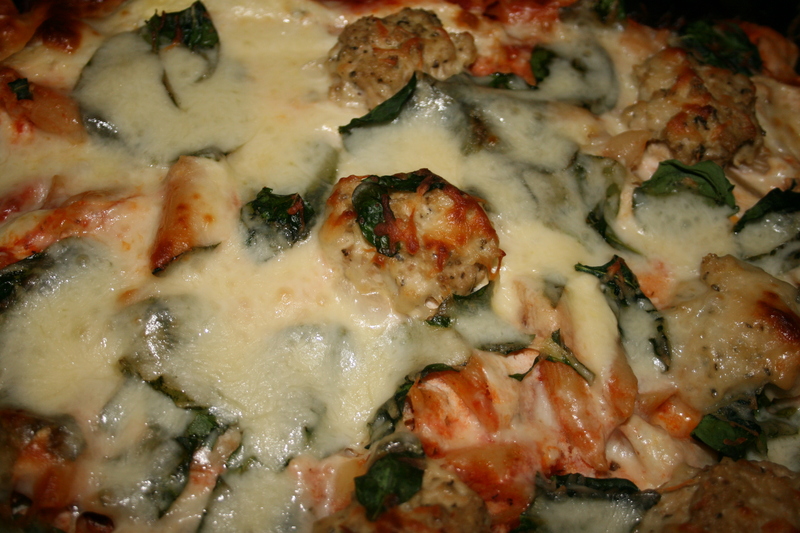 Preheat oven to 350 F. Mix together all ingredients in a large bowl and form meatballs with your hands. Place on baking dish and bake for 25 minutes. 2. While meatballs are in the oven, cook the pasta according to the package. Drain and return to the pot. Mix in marinara sauce. 3. In a large bowl, mix together ricotta, parmesan, eggs, and parsley. 4. Layer your ingredients in a deep baking dish. First half the pasta, then half of the ricotta mix, half the spinach and then the mozzarella. Then repeat these steps to make a second layer. 5. Bake for 45 minutes. 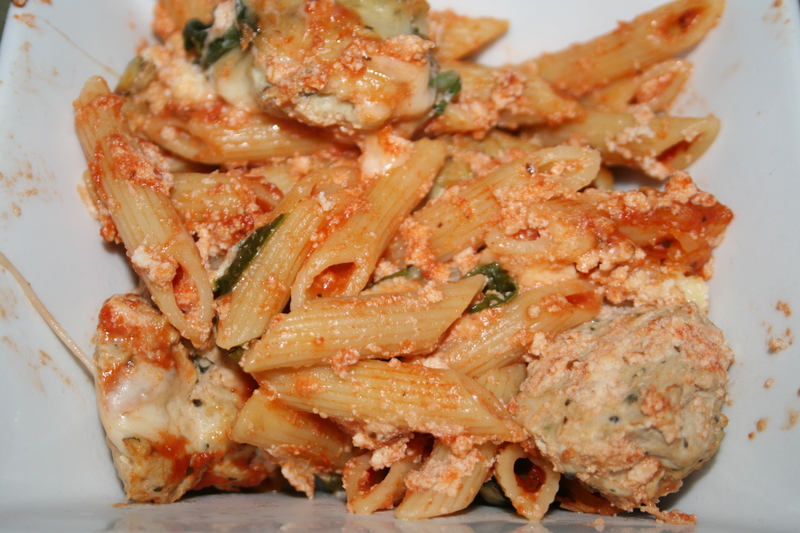 This entry was posted in Main Dishes and tagged chicken, meatball, pasta, spinach. Bookmark the permalink.